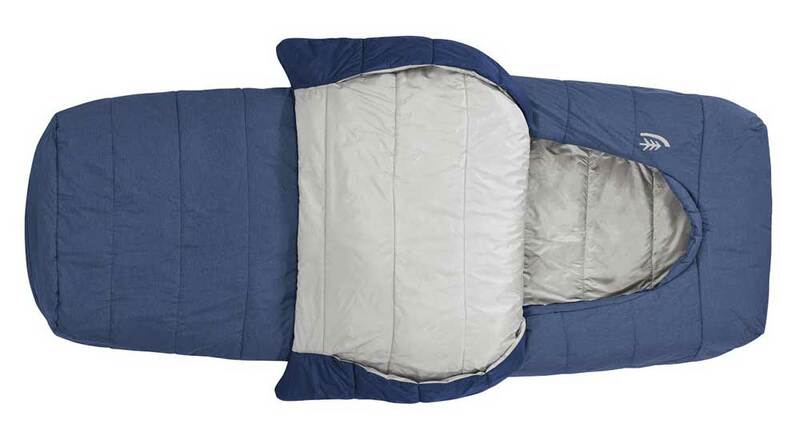 Comfortable and zipper-free, the Frontcountry Bed is a new twist on the rectangular sleeping bag. 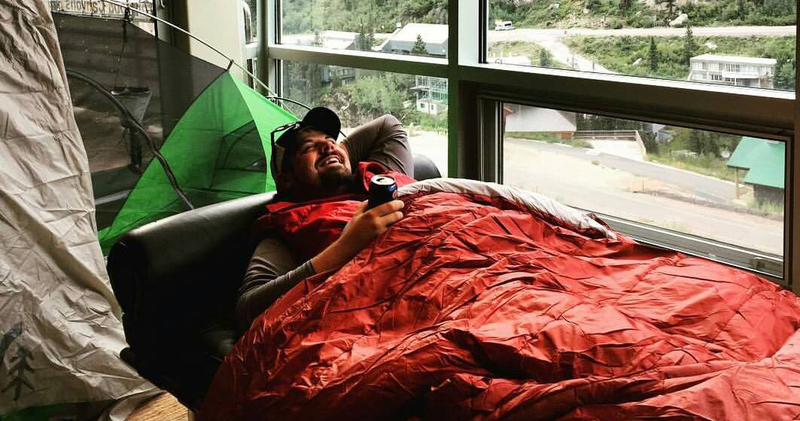 Similar to the revolutionary Backcountry Bed, Sierra Designs’ latest twist on the sleeping bag eschews zippers and uses a quilt to keep the sleeper cozy. Unlike the Backcountry Bed, the Frontcountry Bed (available in Spring of 2016) is cut for comfort in a rectangular shape and has a lower price point. 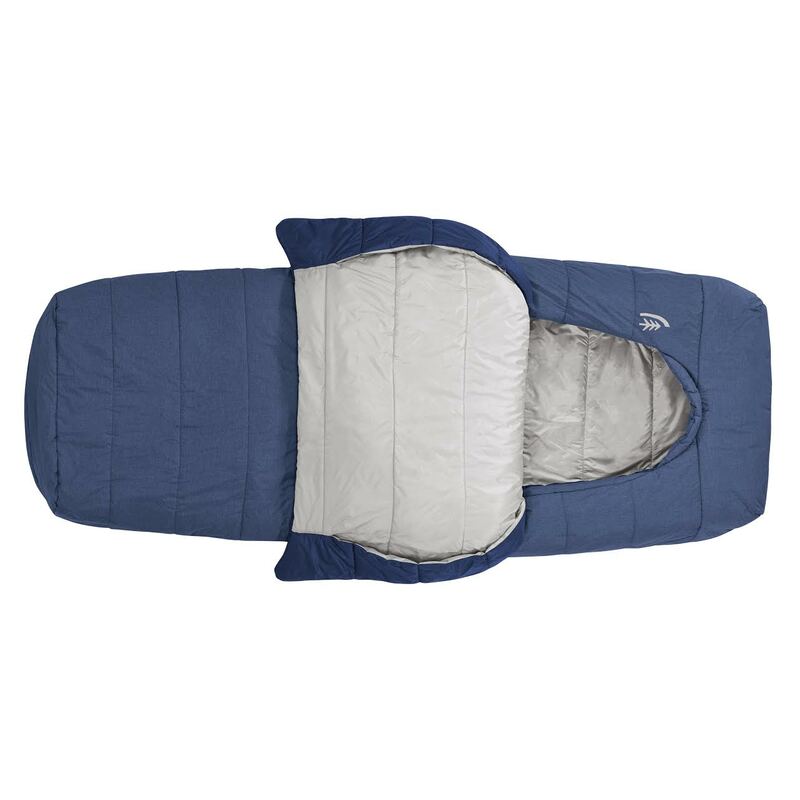 The Frontcountry Bed has an oval opening and an integrated comforter that can be tucked in or pulled out of the bag to adapt to sleeping positions and temperature. Void of any extraneous hardware, no longer do you have to worry about getting zippers stuck or drafty seams. All models of the Frontcountry Bed come in under $230, which is pretty remarkable seeing as some models use good quality 600-fill DriDown. But most of the models use synthetic polyester insulation, which is less expensive and less packable than down, yet still effective. For two-season use, the DriDown model is filled with 600-fill hydrophobic duck down. It is rated for comfort to 38ºF and claims a 28ºF limit. Available in medium (3lb, 15oz; $190) and large (4lb, 9oz; $210), these are the lightest, most packable of the Frontcountry Bed line and may work for modest hiking (although serious hikers will find better, lighter options in the Backcountry Bed line and elsewhere). The meat of the line, these are filled with a staple polyester insulation. They all have a temperature rating of 27ºF and range in size from youth (3lb, 6oz; $90) to large (5lb, 9oz; $150). These bags aren’t crazy heavy, but synthetic insulations tend to be much less compressible than down. These aren’t really intended for backpacking, but should work great at the car campsite. The Frontcountry Bed is aimed squarely at car campers, with three models designed for two sleepers. One bag measuring the same dimensions as a queen-sized bed! The Duo ($200), Twin ($189) and Queen ($229) will let you get cozy with your favorite camping partner. We got a chance to lie in one recently and, like the Backcountry Bed we tested, it allowed us to move and roll around without getting tangled up or feeling claustrophobic. We haven’t yet tested the Frontcountry Bed in full, but we like the concept. The Backcountry Bed has proven to be a wonderful option for people who just can’t get a good night sleep in a mummy bag, and we suspect this option will be similarly comfortable. For claustrophobic car campers and side-sleepers, it’s likely to be a liberating product. We can’t wait to find out for ourselves.